It is not uncommon for people to have high blood pressure readings at the doctor's office and to have a perfectly normal reading at home. While these variable reading may be a sign of prehypertension, it may also be a simple case of what we call white coat hypertension. White coat hypertension (also known as isolated office or clinic hypertension) is a common syndrome among people who feel anxious in medical settings. So profound can this anxiety be that the systolic number (the top value of a blood pressure reading) can increase by as much as 30 mm Hg by just walking into a doctor’s office. Surprisingly, up to 20 percent of the population is believed to be affected by the white coat syndrome. It tends to be worse during first visits to a medical facility and will often gradually ease as the person becomes more familiar with the surroundings. From a clinical standpoint, research has suggested that persons with white coat hypertension are not at an increased risk of cardiovascular death compared to those with normal blood pressure. On the other hand, it does carry a significant increase in stroke, heart attack, and congestive heart failure in those whose condition is ignored or undertreated. Many of these individuals exhibit negative cardiovascular traits linked to hypertension. Among them are negative emotions such as fear, depression, panic, and anger can directly affect the brain circuitry and lead to an overproduction of adrenaline and other anxiety-induced hormones. These, in turn, can spur inflammation in the heart and cardiovascular system. Treatment with medication is usually not indicated since the blood pressure will invariably resolve once the person returns to his or her typical environment. To be safe, your doctor will often want to monitor your blood pressure closely or even suggest a home monitor to ensure that this is not a developing problem. For some people, the syndrome may be transient and resolve on its own. For others, it may be a persistent response that doesn’t improve. Persons with white coat hypertension are usually given three visits by which to monitor and assess their blood pressure. If, after that time, the blood pressure reading is still high, the doctor may want to discuss the possibility of anti-hypertensive treatment. Strangely enough, there are people who have just the opposite experience. Rather than feeling anxiety at the doctor’s office, they experience a sense of calm that translates to a normal blood reading. It is only when at home that the blood pressure can suddenly shoot up. The condition, referred to as masked hypertension, is troubling. 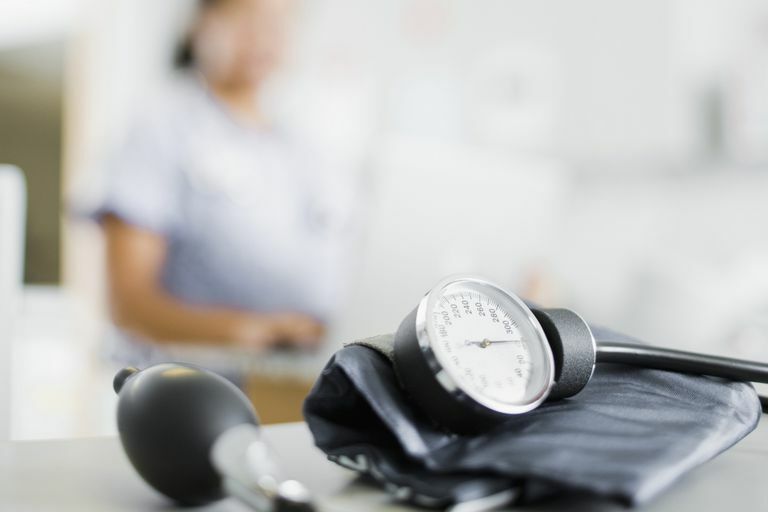 Unlike persons with white coat hypertension, who are easily identified in the office, those with masked hypertension often remain undiagnosed and, as such, do not receive the treatment they need. The causes of masked hypertension are not always entirely clear. There may be home, interpersonal, and job-related stress that makes daily life something of an emotional "pressure cooker." Daily habits such as smoking and drinking can exacerbate these effects. In some cases, people will prepare for a doctor visit in the days leading up to the appointment by eating better, drinking less, or cutting back on the cigarettes. By doing so, they can mask many of the symptoms they live with day by day. If left untreated, a person with masked hypertension is vulnerable to same cardiovascular risks those experiencing white coat hypertension. Cobos, B.; Haskard-Zolnierek, K.; and Howard, K. "White Coat Hypertension: Improving the Patient-Health Care Practitioner Relationship." Psychol Res Behav Manag. 2015; 8:133-41. Ogedegbe, G.; Agyemang, C.; and Ravenell, R. "Masked Hypertension: Evidence of the Need to Treat." Curr Hypertens Rep. 2010; 12(5):349-355.